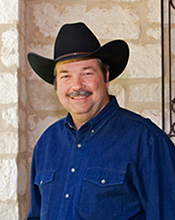 Bruce has been building homes for more than thirty-five years and is a graduate of Trinity University where he received his degree in Business Administration and Homebuilding. 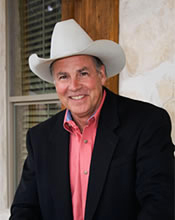 He is a leader in the community, having served as the director of the San Antonio Builders’ Association, president of the Boerne Rotary Club, president of the Boerne Area Chamber of Commerce and is an active member of his church. Coordinating on-site construction is Larry’s specialty. Larry will supervise the building of your home from the dirt up. He comes from a long line of German craftsmen and is a master carpenter that can do anything with wood. He has been with B.W. Baker Builder since 1989 and is an avid outdoorsman and a Christian family man. 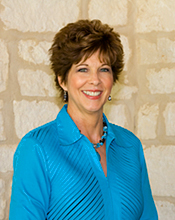 Brenda has designed and decorated hundreds of homes in the Hill Country since 1980 and is a licensed Interior Designer and a graduate of Trinity University. She enjoys working with a variety of clients, architectural styles, personal tastes, and budgets. Experience the ease of coordinating selections in a step-by-step process as we help you turn your new B.W. Baker home into a dream home. Visit Brenda's designing website at www.brendasdesigningtouch.com.